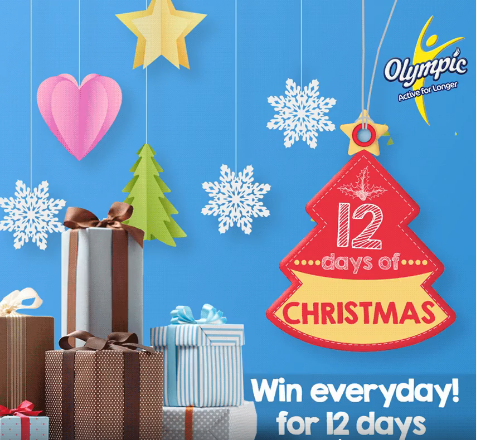 Olympic Milk 12 Days of Christmas Giveaways. Christmas is about to get a lot better with Olympic Milk! Get ready to win lots of shopping vouchers and much more! Simply answer correctly and creatively to win! Make sure to use the #AnOlympicChristmas hashtag for your entry to qualify!